BuildingPoint Gulf Coast is pleased to announce the return of our Brew & Learn Workshop to Mobile, AL! 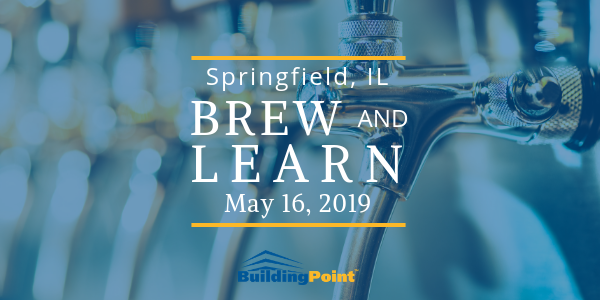 If you’re looking to improve your construction processes or learn about the latest technologies, you won’t want to miss this incredible FREE event at Serda Brewery Noon to 4 p.m. Thursday, April 18, 2019. Following an introduction to Trimble solutions, the following areas will be discussed and demonstrated in depth. Trimble experts present the latest cutting-edge layout technologies in the construction industry using Robotic Total Stations. Learn how the most state-of-the-art 3D laser scanning technologies are being utilized by building contractors and engineers in a BIM-driven industry. Regardless of your design platform, Trimble provides building designers and contractors with a seamless workflow from design to fabrication to construction while providing a high level of detail within your model. Trimble CrewSight software combines a job site access control system with a worker database for increased site security. ProjectSight unifies the field and the office with a single-source of truth for collaboration up and down the project team, from the GC, sub, architect, engineer, and owner. The latest plans sets and documentation are always at your fingertips. This event will provide a comprehensive look at Trimble’s solutions to help contractors Win the Work, Manage the Work, and Do the Work. Learn from Trimble and BuildingPoint Gulf Coast field experts in an interactive workshop format. No matter your role, we are sure to have something for you. Don’t miss this free event! We’re looking forward to seeing you on April 18.